Australopithecus africanus. 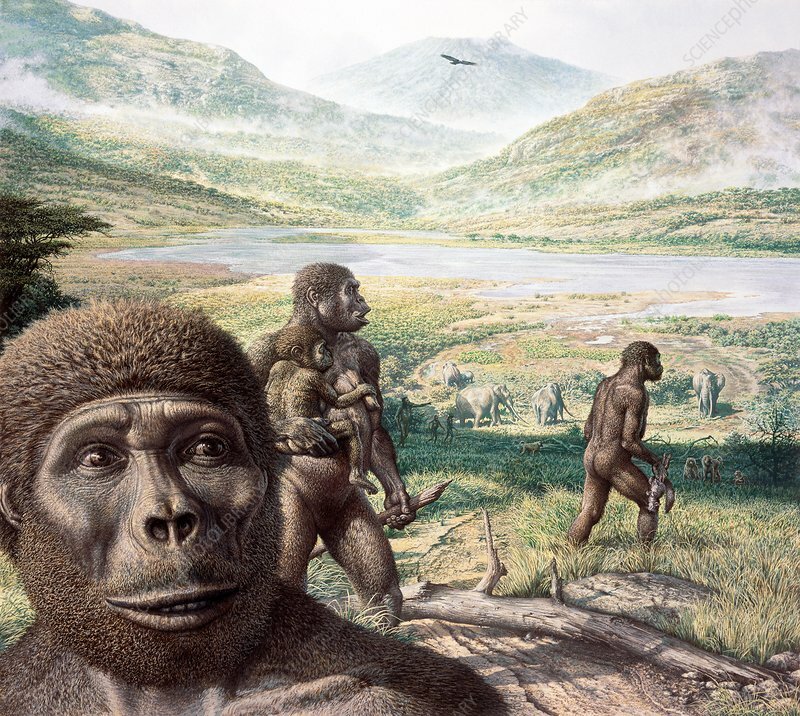 Computer illustration of a family of Australopithecus africanus hominins and elephants on the plains of Africa. A. africanus lived between 3 million and 2 million years ago and ranged throughout much of Africa. It is one of several extinct species that form an early part of the human evolutionary tree. Studies of its teeth suggest that it was omnivorous.